by Barrett P. Walker and Thomas Walker, Jr.
Thomas Walker, father of Alex C. Walker, was one of the early entrepreneurs of Pittsburgh. 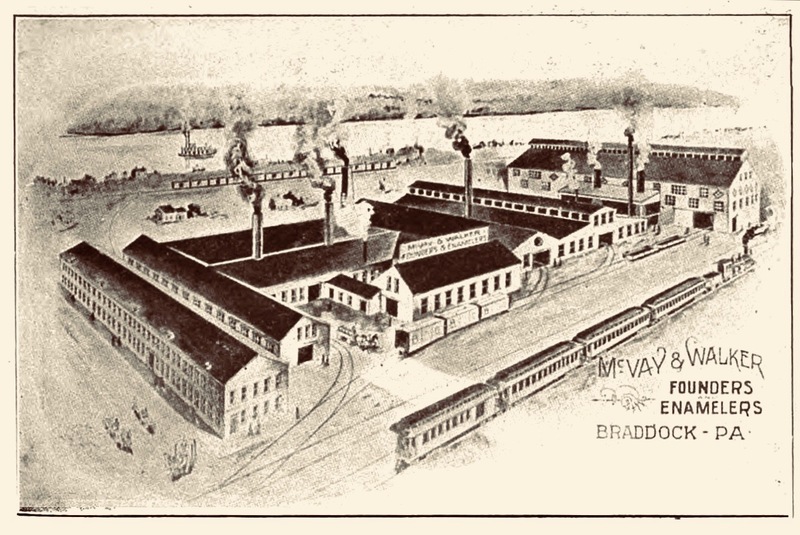 The business of McVey and Walker prospered, coming to employ 25 to 80 skilled artisans, depending upon the "exigencies of the trade." Eventually the firm had three departments carrying on the work of founding, car building, and forging. 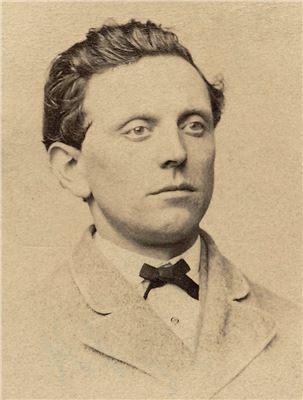 Thomas Walker gained full ownership upon the death of McVey. Later on the firm added the manufacture of enameled bath tubs, lavatories and cast iron pipe. 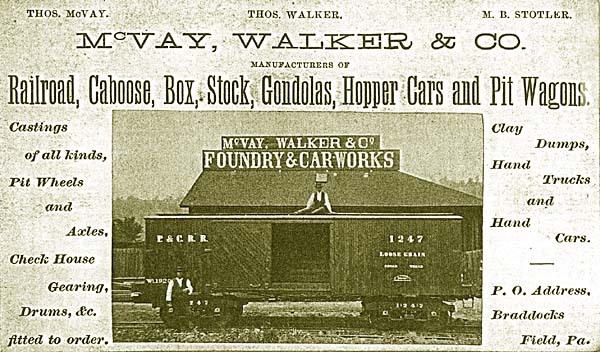 4 McVay, Walker & Co. continued to operate until one year before Walker's death in 1918. Thomas Walker married Amelia Cubbage and had two sons. 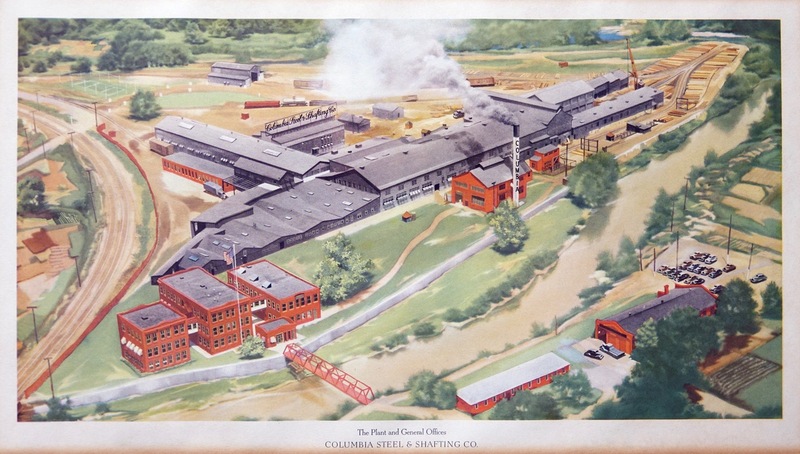 Thomas Algo Walker became Vice President of the Columbia Steel & Shafting Company Co. in Carnegie, PA and Alex Cubbage Walker became secretary and treasurer of the McVey-Walker Company. 2 While working for the family business Alex also served as a chemist for a new division, the bath tub works. There he developed different formulas for enamel coatings to make the tubs more durable. Alex always had a strong philosophy of free enterprise. 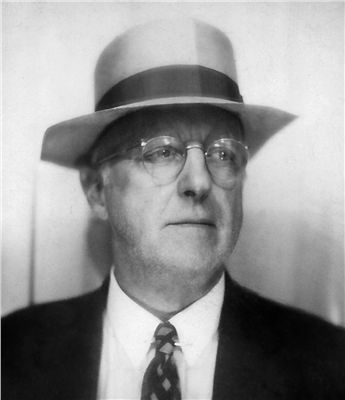 Three events that likely shaped Alex's views were the great depression, Pittsburgh's efforts to protect its water supply, and clean up its polluted environment. Alex developed an interest in applying the study of economics to avoid disastrous interruptions to business and employment such as these. Rather than being an inevitable result of economic activity, he believed that such imbalances could be addressed by encouraging the development of market-based solutions. The family trustees reached these conclusions on Alex's views after researching the history of the Foundation, interviewing family members, and visiting the former site of the family business with Thomas Urling Walker, Senior. Tom Sr. obtained a degree in engineering, and for a short period around 1950, worked at Columbia Steel and Shafting Co. He recalled driving from the family home at 939 N. Negley Ave. in Pittsburgh, to the nearby plant in Carnegie, parking at the company lot, and walking on a footbridge over Chartiers Creek into the red-brick administration building where his Dad had worked before his recent retirement. Unlike his brother, Alex never married. After the sale of the business, Alex traveled to Europe and around the United States. He then moved from the smoky, industrial city of Pittsburgh to Florida in about 1940 to protect his health. Thomas U. Walker, Sr. personally knew Alex and recommended that Alex hire an experienced attorney to draw up his will. Before Alex passed away in 1968, he made provisions through his will to establish a family charitable foundation for the purpose of funding organizations and programs devoted to the fostering of the free enterprise system. Thomas A. Walkers' sons, Thomas Urling Walker, Sr. and Barrett Cubbage Walker were appointed as the first trustees. In 1981 they received permission from the court to name their sons as successor trustees and established a procedure for appointing future trustees from the Walker family. 8 Upon the retirement of their fathers, Thomas Walker, Jr. and Barrett P. Walker became family trustees effective Jan 1, 1998. Barrett P. Walker serves as director, managing the grant program and the Foundation website. Pittsburgh National Bank, was named as a corporate trustee. In 1983 Pittsburgh National Bank merged with Provident National Bank of Philadelphia to form PNC Bank Corp. PNC Bank manages the Foundation's investments. Three generations of the Walker Family met in Pittsburgh, in 1992 to review the history of the former family steel businesses. They also studied the decline of the City due to pollution and flooding, and the City’s renaissance resulting from an environmental clean-up and reinvestment in infrastructure. From left, Kiara L. Walker, Barrett P. Walker, Thomas U. Walker, Sr., and Thomas U. Walker, Jr. overlooking Pittsburgh. Last Will and Testament of Alex C. Walker. Jordan - Genealogical and Personal History of Western Pennsylvania, p. 599. The Plumbers' Trade Journal, Steam and hot water Fitters' Review. V. 41, Jan 1, 1907, p. 75. The Iron Trade Review, V. 62, April 18, 1918, p. 1001. History of Colunbia Steel & Shafting obtained by Barrett P. Walker calling member of the Summerill Family at Summerill Tube Corp.
Order of Allegheny County Orphan's Court, vol. 589, P. 597.